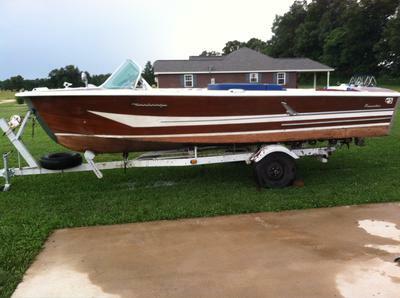 1963 Century Resorter (ALL Wooden-V Drive) w/401 Buick 280hp Gray Marine engine. 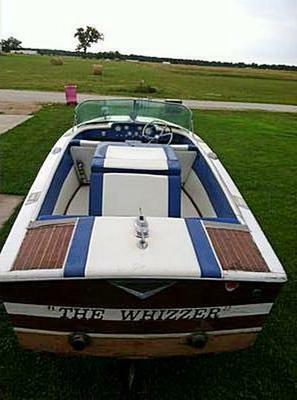 I received this boat last week on another deal I made. I do not know much about these types of boat. I can tell the upholstery was redone not along ago and in great shape. All wood appears solid and no issues structurally. I am able to turn the motor over by hand. I am looking to sell as a whole rather than part it out. All appears in great shape and restoration efforts would appear minimal. I know there are fanatics out there that would do the right thing with this boat! Call or Text 870-715-5857 anytime for more details. Do you have tital papers for boat and trailer? If a person bought your boat could we arrange storage for a few months until a person can get down to pick it up? If she is still for sale, please let me know as i'm looking for a new project. I have the same boat my Dad bought new. This is the only one I have ever seen like mine. 18' and yes trailer is road worthy. Call or text me 870-715-5857 if you'd like. 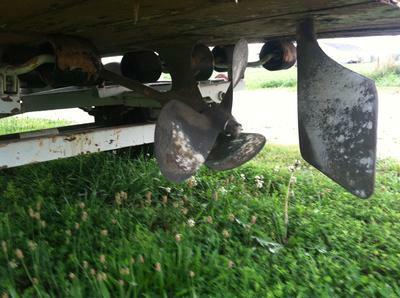 What size is the boat and is the trailer road worthy?